Perla Dawn team, together with our fellow Vietnamese are always proud of our long term traditions and believe that what makes a country different from the others is its traditions. 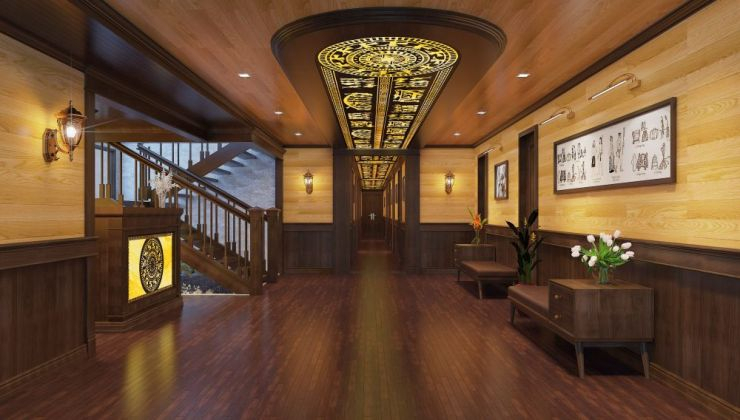 This is the reason why while other boats feed on modern and sophisticated designs and styles, we still maintain the original traditional styled designs with wooden specifics. 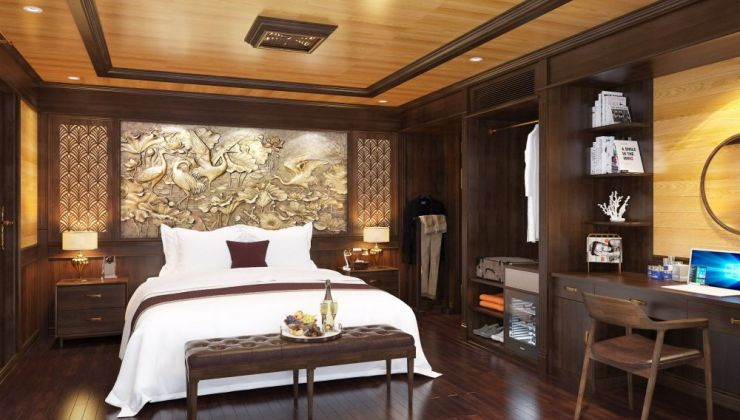 What we expect is bringing to our passengers not only a luxury experience but also a Vietnamese traditional cruise. 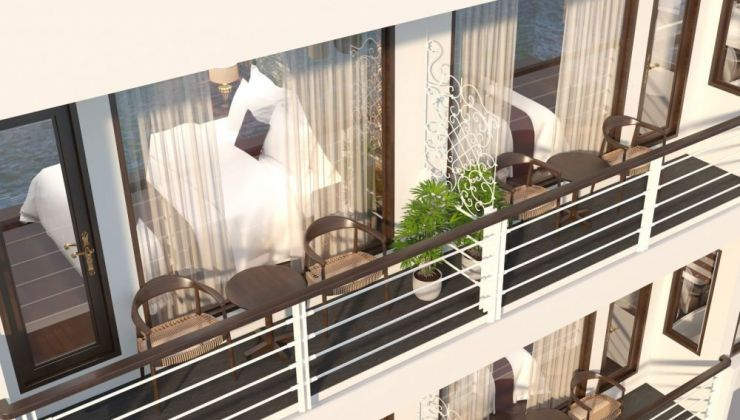 Beside the design concept, our meals and activities on-board are also organized in traditional way. When you are in Rome, do as Romans do and when you are in Vietnam, eat what Vietnamese eat. 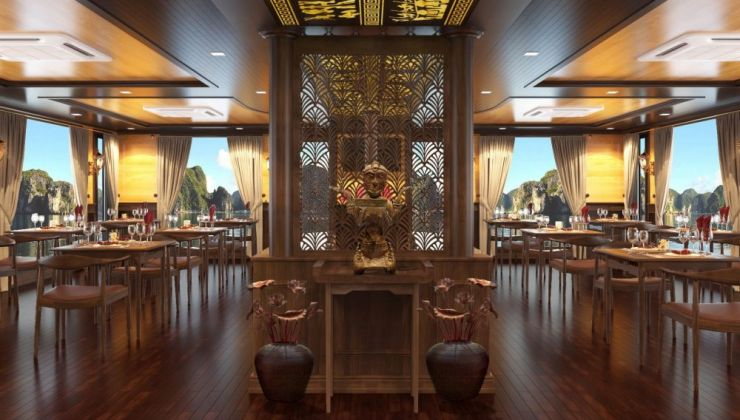 That’s why aboard Perla Dawn, we serve you with Vietnamese cuisines. During dinner on top deck, a traditional music show played by skillful folk artists will make your dinner become a dream. After dinner, our tour guide and crew will show you some of the most popular board games which have been played in Vietnamese countryside for thousand years. 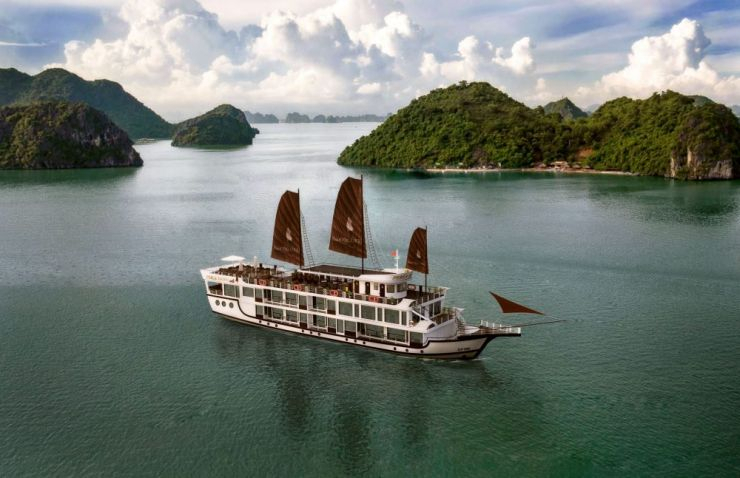 Highlights: Discover Lan Ha Bay on Perla Dawn Sails, cruise to experience a beautiful area, the isolated part just located in the south of Halong Bay. 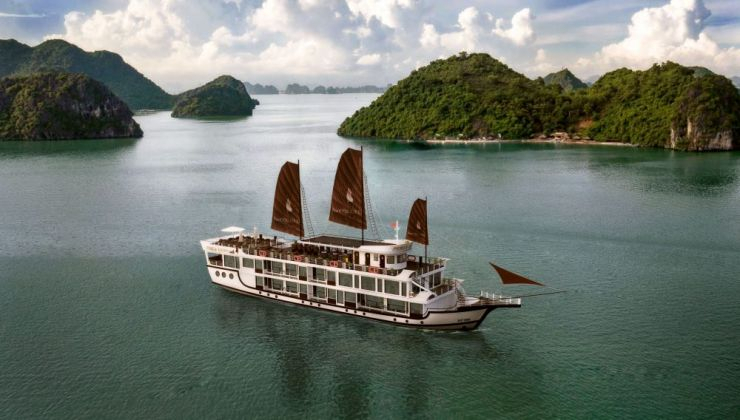 We welcome you on our cruise to immerse yourself in the breathtaking scenery of Lan Ha Bay while experience luxury cruise service on a traditional ship, showing numerous features of Vietnamese culture. 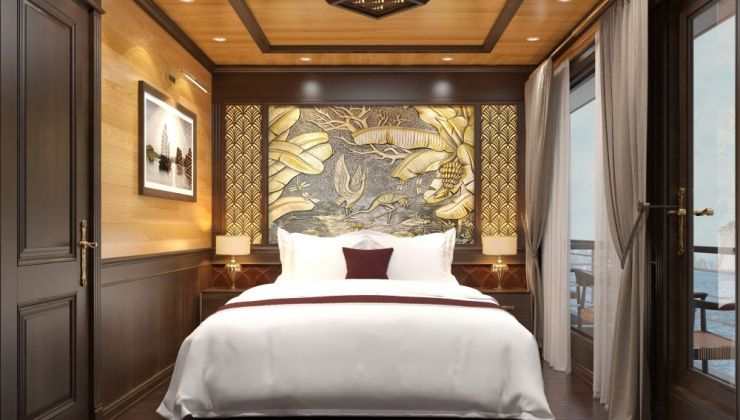 12:00 – 12:30 : Embark the Perla Dawn Sails at Hai Phong Office, No 9, Nui Ngoc street, Cat Ba Town, Cat Hai District, Hai Phong City. 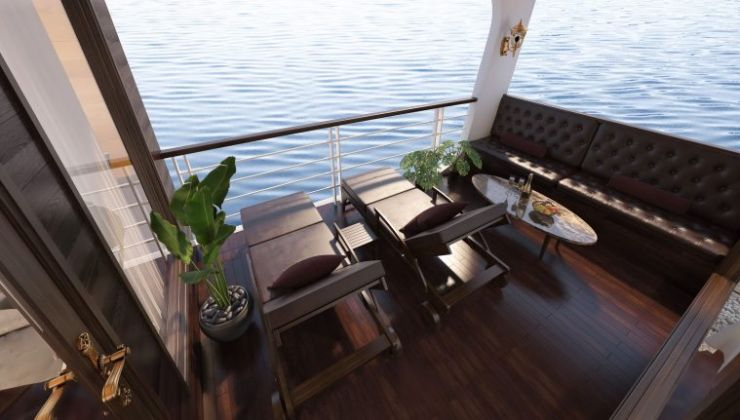 Enjoy a welcome drink and cruise briefing. 13:00 – 14:00 : A splendid lunch is served while cruising into the primitive Lan Ha Bay with its hundreds of small and large islands creating an enormous picture depicting the scene. 15:15 – 17:15 : Experience the fantastic kayaking to discover the poetic Tra Bau area. Then enjoy swimming in the emerald water. Visit fishing farm, socialize with fishermen to know more about local life here and how they work everyday. 17:00 – 18:45 : Return to the Perla Dawn Sails for a sunset time on top deck to appreciate the best snapshots of the day when the sun begins to set. Enjoy daily promotion HAPPY HOUR – BUY 2 GET 1 FREE all beverages from 5 to 6pm while taking part in the cooking demonstration. 19:00 : Delight in a shimmering and fanciful dinner on top deck in the center of the serene Bay surrounded by the light of a thousand stars with extremely flavorful food and be impressed by an absorbing fruit and vegetable carving display. Take great pleasure in traditional music performances. Then, socialize with new friends and crew members, join squid fishing. Overnight on-board. 06:00 – 06:30 : Begin your new day with a Tai Chi session or a photo chase. 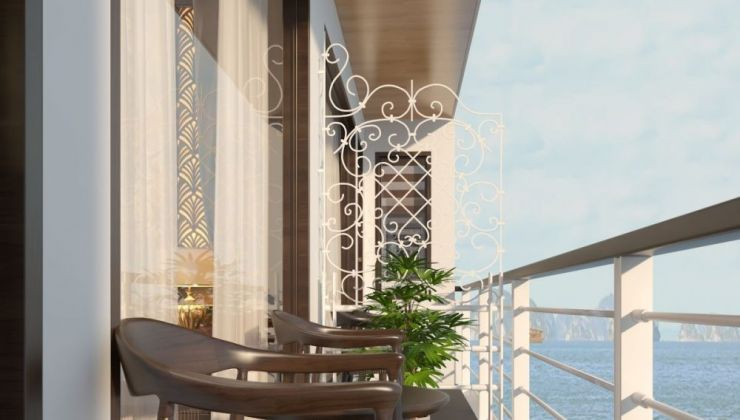 07:00 – 08:00 : Enjoy breakfast in the fresh air and peaceful beauty of the Bay. 08:15 – 08:45 : Visit Bright Cave on bamboo boat, a serene round lake encompassed by rich trees and high risky stone walls. 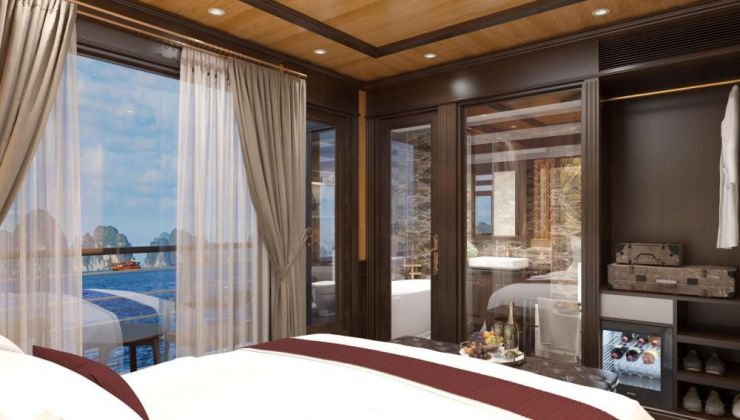 09:00 – 10:15 : Pack your luggage and check out of the cabin while cruising towards the port. 10:30 – 11:30 : Join an extraordinary Buffet lunch. 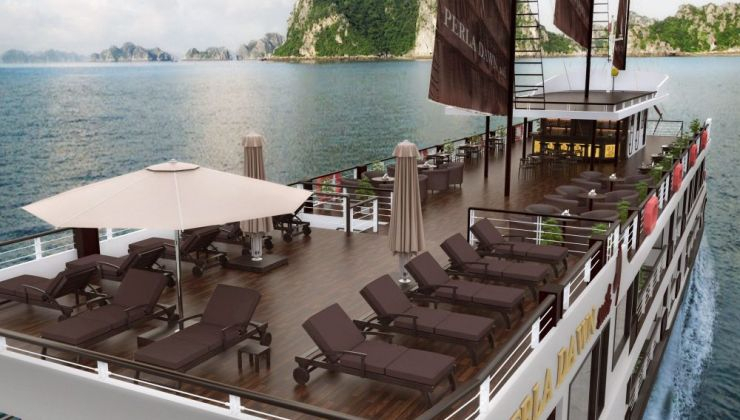 11:45 – 12:00 : Disembark the Perla Dawn Sails & Farewell. 13:00 – 14:00 :A splendid lunch is served while cruising into the primitive Lan Ha Bay with its hundreds of small and large islands creating an enormous picture depicting the scene. 15:15 – 17:15 : Experience the fantastic kayaking to discover the poetic Tra Bau area. Then enjoy swimming in the emerald water. Visiting fishing farm, socialize with fishermen to know more about local life here and how they work everyday. 17:00 – 18:45 :Return to the Perla Dawn Sails for a sunset time on top deck to appreciate the best snapshots of the day when the sun begins to set. Enjoy daily promotion HAPPY HOUR – BUY 2 GET 1 FREE all beverages from 5 to 6pm while taking part in the cooking demonstration. 19:00 :Delight in a shimmering and fanciful dinner on top deck in the center of the serene Bay surrounded by the light of a thousand stars with extremely flavorful food and be impressed by an absorbing fruit and vegetable carving display. Take great pleasure in traditional music performances. Then, socialize with new friends and crew members, join squid fishing. Overnight on-board. 06:30 – 07:00: Start your day with Tai Chi exercises or a photo hunt. 07:15 – 08:30: Enjoy breakfast in the fresh air and serene excellence of the Bay. Transfer to a Day Boat for a day cruise. 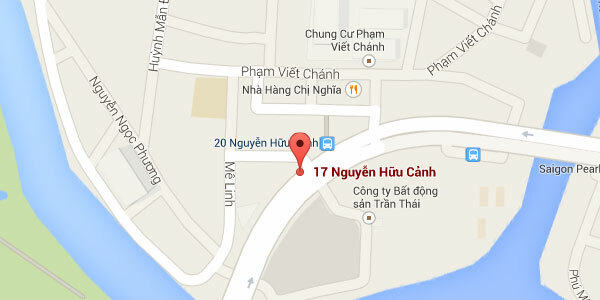 09:00 – 11:00: Join a trekking and cycling tour to Viet Hai village. 12:00 – 13:30: Return to the day boat. Enjoy lunch on-board. 13:30 – 15:30: Swim and kayak in Ba Ham Lake. 16:00: Cruise back to the Perla Dawn Sails. 19:00: Enjoy dinner on top deck.Squid fishing or just laze around.Overnight on-board. Luxury, en-suite Double/Twin shared cabin with A/C, hot water.